Join General Ronald R. Fogleman and contributing scholars as they discuss research regarding effective business strategies for the defense sector. The conversations include discussions regarding the struggles of a nation to define the way forward regarding the impacts of Defense procurement, Defense health care spending, economic impacts on veteran owned businesses and succession planning, solutions to manage and lead disasters, economic challenges, reduction of energy costs, and exploration of leadership strategies to drive business practices important to the future of our nation. The goal is this volume is to find innovative solutions for more effective outcomes to drive change. As the Department of Defense (DoD) begins to step back from 14 consecutive years of combat operations in the War on Terror, national security intellectuals continue to struggle to define the way ahead regarding a viable National Security Strategy in the context of the realities of a weak economy and a somewhat detached and disaffected public. Additionally, as DoD and the military services take stock of the readiness of the force, they are discovering that many of the business practices followed in the past have atrophied or been overcome by events. Business as usual has become a recipe for failure. The Delphi Method or Delphi Technique, is an established method for bringing teams of informed panelists, or experts, together to analyze complex and interrelated problems. Organizations use group decision-making techniques to make sound plans, plans that gain support for the decisions made and build consensus. The U.S. Department of Defense (DoD) requires the use of Integrated Product Teams (IPTs) to ensure all disciplines are well represented in acquisition decisions. IPT planning process has several limitations, including the biases and inefficiencies associated with face-to-face meetings. The IPT process could be augmented to include Delphi analysis in order to develop more robust and more flexible procurement plans. Using the Delphi Method to augment IPTs could minimizing the costs and limitations of more traditional group planning while also significantly improve the quality of the procurement decisions. Delphi teams could be used with experts (or even with crowds) to provide sound analysis in many situations where the IPT process is ill equipped to produce unbiased and long-term results. Delphi teams would have the ability, as well, to look at bigger picture issues, and thereby avoid the narrow-scope, tunnel-vision analysis where most of the IPTs operate. In this chapter, the author explains the effect of employee characteristics on influence strategies used in a health care group purchasing organization (GPO) within the Department of Defense (DOD). This chapter opens with a brief introduction about influence strategies within the health care supply chain. Dr. Bruce explained the business problem regarding the spending growth on health care supplies and its effect on the national economy. Emphasis is placed on the GPO employee characteristics that affect the use of rational persuasion to convince GPO members to reduce spending on health care supplies. 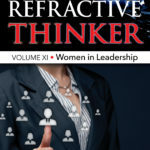 The information in this chapter could be helpful in promoting personal and professional development of rational persuasion across DOD health care facilities. Also, the study indicated that if leaders believe that employee characteristics influence the use of rational persuasion, they might increase their efforts to develop the use of rational persuasion among employee groups who seldom use this influence strategy. 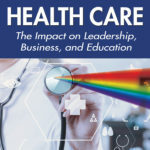 Information contained in this chapter assists DOD health care leaders to reduce the burden of health care spending on the national budget. Generational succession is the systemic transition or continual emergence from previous cultural-bearers to new cultural-bearers (King, 2010). 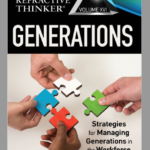 The ability of U.S. small business leaders to manage generational succession while managing knowledge became a strategic imperative regardless of the industry, and goods or services sold (Bracci & Vagnoni, 2011). This strategic imperative offered the leaders of small veteran-owned businesses (VOB) or service disabled veteran-owned businesses (SDVOB) opportunities to implement realistic and pragmatic solutions for instituting generational transfer methods regarding succession planning, mentorship, education, and training in developing the next generation to become leaders or managers. VOB and SDVOB leaders use different strategies to address generational succession and the effect of Baby Boomers continuing to work beyond traditional retirement eligibility age of 67 years. Changing workforce demographics, combined with a gap in knowledge and skills between older and younger generations, may threaten VOB and SDVOB viability. The presence of different generations in the workforce, where 1 in 5 employees are 55 years and older, presents an unprecedented challenge for small business leaders abilities to plan succession. Disastrous consequences await companies that cannot transfer knowledge from older to younger generations (Stam, 2010). Between 2008 and 2018, 30 million or 20% of the 150.9 million U.S. jobs involve or will involve companies needing skilled, educated, and trained workers to replace aging and retiring Baby Boomers (Rothwell, 2011). 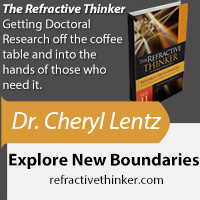 The implications for refractive thinkers involves presenting guidance by exploring and postulating the effects of changing workforce demographics on VOBs and SDVOBs. Small information technology and management consulting businesses face increasingly contradictory strategic choices as they develop products and services for the marketplace. Building contextual ambidexterity is essential to the survival of small businesses as they seek to attain a desired balance of alignment and adaptability. Ambidexterity is defined colloquially as the ability to be skillful and agile at using both hands, or in a business context, as the ability to focus on and balance the differing strategies of alignment and adaptability with equal success rates. Never in human history have we seen so many technologies moving at such a staggering pace. Everything is being information-enabled around us. What’s more, as these technologies intersect (e.g., using deep-learning AI algorithms to analyze medical trial data), the pace of innovation accelerates even further. Each intersection adds yet another multiplier to the equation and even more complexity. So, what’s an organization to do in this time of significant disruption to current business models? Become an Exponential Organization. 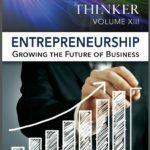 This chapter discusses how businesses might use the concept of contextual ambidexterity to achieve the status of Exponential Organization. Small business failure rates equate to 30% within 2 years and 50% after 5 years (Solomon, Bryant, May, & Perry, 2013). In this chapter, the discussion focuses on veteran-owner business practices that may contribute to understanding why some veteran small business owners lack strategies to sustain their companies beyond 5 years. Interviewing 13 veteran small business owners in Central Florida provided an analysis of the veteran-owner managerial practices attributing to veteran-owned small business longevity factors. Based on the analyzed data, four veteran-owned small business themes emerged: rationale to establish a small business, market research practices, overcoming business adversities, and external assistance avenues used in operating a veteran-owned small business in Central Florida. These veteran small business owner experiences aided to identify, organize, and initiate process changes for operational permanence. Government, state, and local agencies are duty-bound to recognize military veteran adversities in effectively assisting veteran-owned small businesses. Regardless of the situations encountered, veteran small business experiences may be dependent on the individual capabilities and talents for business venture longevity. Successful veteran entrepreneurships can support local economies by promoting positive social values, stakeholder satisfaction, and employment opportunities. Organizations and businesses go abroad to take advantage of overseas markets and demand for products and services. Leaders of these organizations face challenges of understanding the local culture and language, getting maximum advantage from the environment inside and outside the organization, and employing local hires in the best manner for the employees and the organization (Alpaslan, Green, & Mitroff, 2009). To prepare for crisis situations, leaders must organize and train local teams equipped to presciently recognize problem areas and successfully resolve the situation to prevent loss of life and prevent disruption to the organization and damage to its reputation. In worst case scenarios, leaders must prepare for evacuation by military forces tasked with removing noncombatants from areas of hostility. 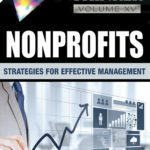 The purpose of this chapter was to identify crisis management insights and the need for leaders to organize and prepare teams in local offices to respond quickly and efficiently to prevent loss of life and preserve the organizations’ profits and reputation. Effective leaders will also initiate communication with embassy officials responsible for coordinating with military forces tasked with evacuation of noncombatants. Sustainable development reduces construction waste by 43%, generating 50% cost savings. In 2007 and 2014 Nellis Air Force Base, NV Energy, a venture capital company, and members of the solar industry collaborated to construct a 140-acre solar photovoltaic project on the Air Force Base. The project saves the Air Force more than $1 million dollars in energy costs and eliminates 51,000 tons of carbon emissions annually. The Department of Defense policies on building construction and renovation includes sustainable development standards for builders applying for residential construction contracts. Residential construction executives lacking adequate knowledge regarding the benefits of sustainable development practices are at a competitive disadvantage. Drawing from the diffusion of innovation theory, the purpose of this qualitative case study was to explore knowledge acquisition within the bounds of sustainable residential construction. Residential homeowners are the major consumers of energy. The purposive sample size of 11 executive decision makers were members of the National Home Builders Association (NHBA) with experience of a minimum of 5 years in residential construction. The research question addressed how to improve knowledge acquisition relating to the cost benefits of building green homes and increase the adoption rate of sustainable development among residential builders. 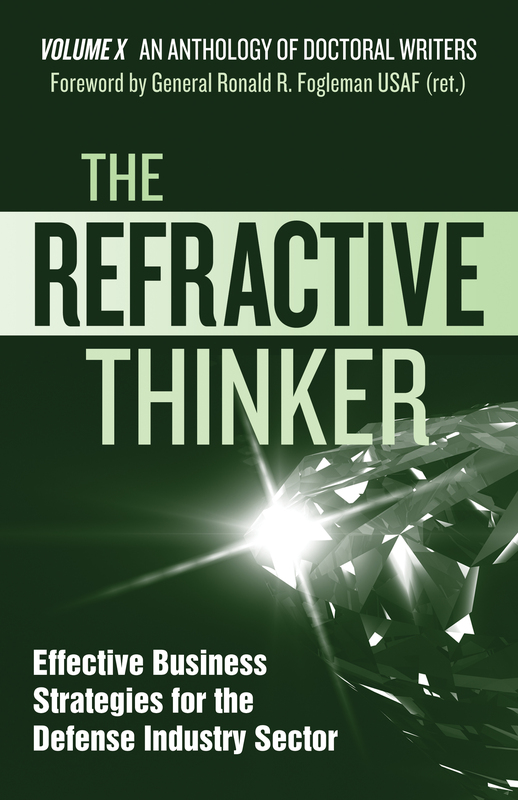 Initially, 5 categories and reduced to 3 interlocking themes of environment, competitive advantage, and marketing. Recommendations include developing comprehensive public policies, horizontal and vertical communications networks, and green banks to capitalize sustainable development programs to improve the diffusion of green innovation as a competitive advantage strategy. Business leaders could benefit from this data by integrating sustainable development practices into their business processes. Study results might assist military leaders tasked with implementing the Department of Defense Sustainable Buildings policy. Sustainable development reduces operational costs, increases competitive advantage for builders, and reduces greenhouse gas emissions. 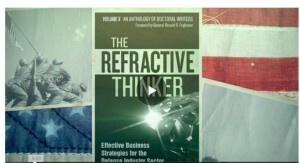 Traditional approaches do not facilitate complementary policies; therefore, we need to use refractive thinking as a process to examine existing policies and develop a comprehensive energy strategy that promote economic development, technological gains in all business sectors within the energy industry, and reduces energy costs for military operations. A comprehensive energy strategy increases energy independence through conservation. Comprehensive energy policies help reduce carbon emissions, reduce energy costs for consumers, and maximize military operational readiness. 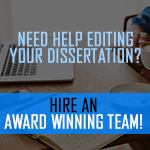 Fortune 500 companies, small firms, and government agencies, including military and National Aeronautics and Space Administration (NASA) use project teams for optimizing business goals and objectives (Wagner & Barkley, 2010). The competitive nature of multinational infrastructure projects along with volatile markets indicates an increase in collaboration between governments (Hambley, Neill, & Kline, 2007). As a result, project teams adapted to meet future changes and cope with the global economy and shifting business priorities (Douglas & Craig, 2011). To offset resource challenges project managers undergirded the responsibility of managing diverse types of projects and teams simultaneously (Allen, 2015). The diverse types of project team compositions included traditional (co-located team members), virtual (members interface virtually), and hybrid (team consist of traditional and virtual) (Allen, 2015). This problem of managing projects is more acute when 62% of projects in large companies reported cost overruns and 37% were finally cancelled (Standish Group Report, 2014). Correspondingly, Allen (2015) reported 80% of 475 survey participants of project managers or team leaders acknowledged exceeding project budget and schedule. Projects that exceed budget and schedule equates to cost overruns. Effectively managing multi types of teams concurrently calls for a closer look in two arenas: Evolvability strategy and enhance skillset for project team managers or leaders. Evolvability strategy specifies the qualities of a final design that is both affordable and robust to cope economically with changes in requirements. Enhanced skillset required to support project managers, leaders, and team members’ agility in working with multi-types of projects and teams concurrently. Many sectors invest in resources with preventative approaches to wellness. Population health institutes, the health care sector, psychologists, educators, and a growing sector of the military seek to keep individuals physically well, and also emotionally and psychologically well. Researchers proved that maintaining positive states of well-being prevents future dis-ease. Many approaches to achieving well-being exist in the literature. This chapter includes an exploration of the subjective well-being construct, or happiness, and how to increase well-being, and well-being in the military context. The author proposed a novel, thinking approach, within both the contemplative sciences paradigm and the positive psychology paradigm, that can be applied along the life continuum, from adolescents to adulthood. The Defense industry offers a substantial amount of opportunity and competition for small businesses that specialize in Information Technology (IT) services. Within the U.S. Department of Defense (DoD) space are many who share similar challenges regarding an effective application of specific software development methodologies such as the Spiral, Waterfall, and Agile Scrum methodologies. Specific challenges focus on the implementation of these approaches in developing appropriate solutions to meet the needs of the customer, client, and industry. Identified reasons for such challenges to include a narrow understanding of business and functional requirements exists, as well as a limited understanding of existing processes and inadequate or incomplete knowledge of how to apply needed technological features and capabilities using a holistic approach, as well as refractive thinking in their applications. Significant advantages and disadvantages to implementing these software development methodologies exist within the DoD environment. The goal of this chapter was to offer a critical and refractive thinking analysis of these methodologies as implemented with the DoD space. The goal was to identify the many similar challenges faced by small businesses and their current IT software solutions that may miss the mark, not yet providing the complete and seamless solutions, a critical piece to success and profitability within the U.S. government space. Dr. Kenneth J. Chamberland Sr.
Dr. T. B. (Mac) McClelland, Jr.